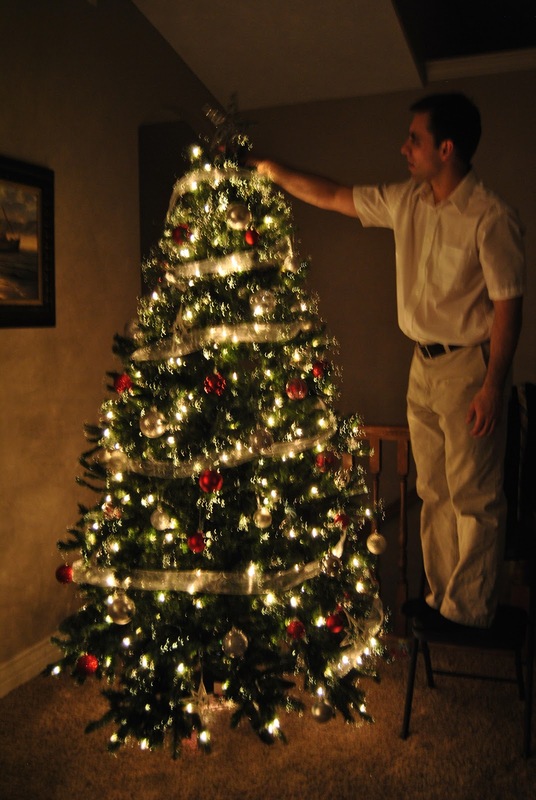 Setting up the Christmas Tree this year was a little bit different now that we have a 2 year old that gets to help! He loved it. He wanted to put all of the ornaments in the same place.....but that worked. We may have just rearranged them later. 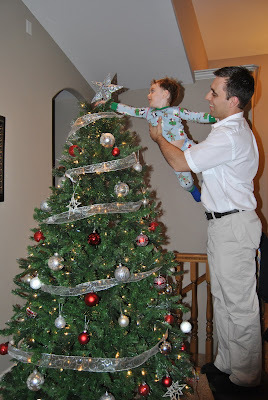 Jason also held Carson up to put the star on the top which was really cute. When we turned out the lights and lit up the Christmas Tree, Carson was in awe. He just stood there watching it for a long time. It was really fun to watch him discover so many new things.